Croatia Airlines launches its flights to and from Athens for the summer season 2019. Specifically, from April 11 to October 26, 2019, it will connect Athens with Dubrovnik and Zagreb daily, except Friday and from June 1 to September 28, 2019, direct flights from Athens to Split every Saturday. Fly with Croatia Airlines to Dubrovnik, Split and Zagreb starting from 141 € round trip. 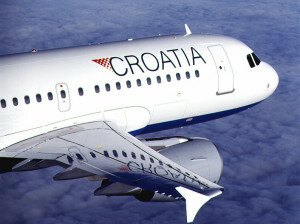 The price includes the airport taxes and Ticket Service Charge for purchase on www.croatiaairlines.com. This year, Croatia Airlines will operate with direct flights to 38 destinations in 24 countries. Copyright © 2017 Intermodal Air.